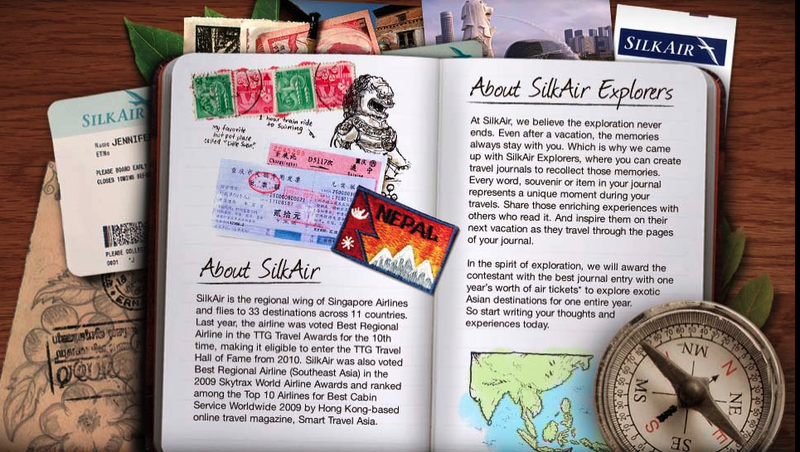 If you've travelled to the following areas, you have a chance to be a SilkAir Explorer. 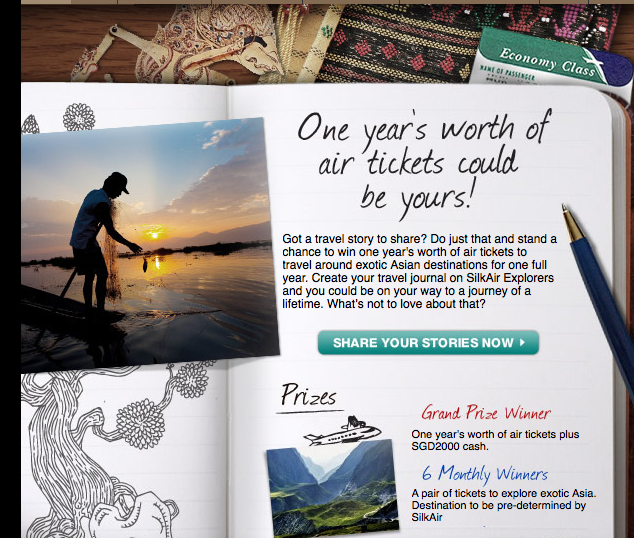 A 1-Year Supply of Airline Tickets enough for sharing your story/ies? They will choose 1 December winner aside from the Grand Prize. Grand Prize - 1 Year's Worth of SilkAir tickets plus cash SGD2000! Make your journals by December 30, 2010! 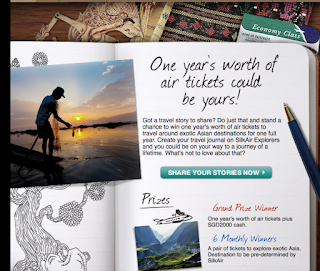 Click here to create an account and make your entries. yup=) you need to get used to the journal builder though.take note of the deadline for the contest!